Here’s a party that might just be the most original we’ve ever seen. 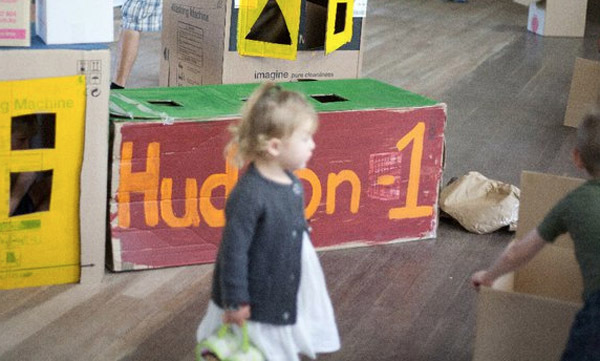 Come inside Hudson’s most amazing first birthday with its trés eco-chic recycling theme. Who knew going green could be so damn stylish, not to mention so much fun?! We’re completely in awe of Hudson’s mum Jessica, who gets full points for both her superb creativity and her decorative pizazz. 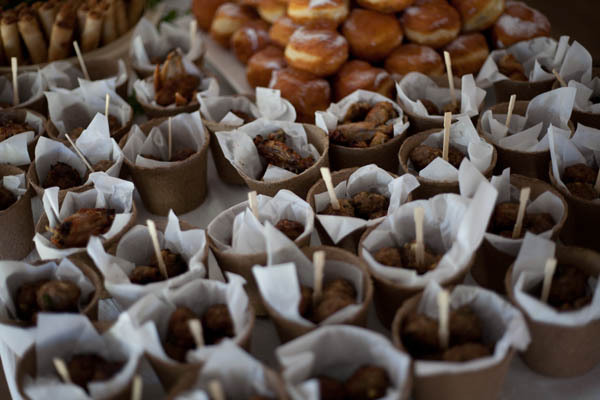 The attention to detail at her son’s soiree is just amazing, from the eco-friendly non-toxic Honey Sticks crayons and potato stampers on the craft table to the organic meatballs and chicken wings served in their teeny-tiny recycled paper cups. 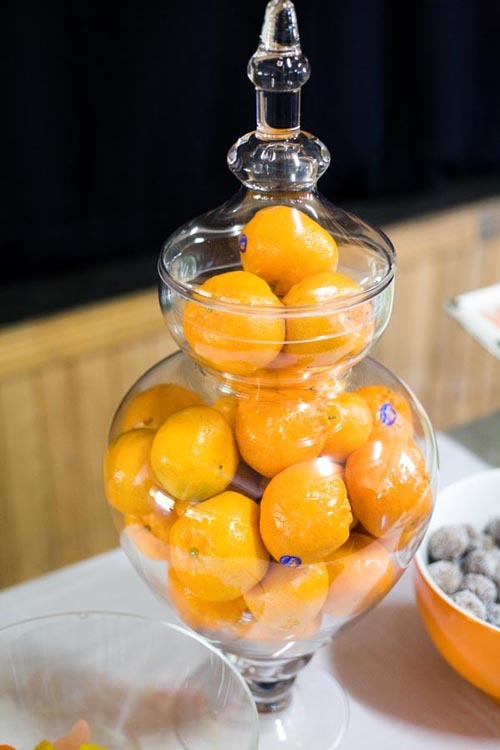 We especially love the mandarins displayed in the glass jars on the buffet table – a clever, tooth-friendly twist on the jars of lollies more often seen at kids’ parties these days. It’s eye candy without the sugar high. 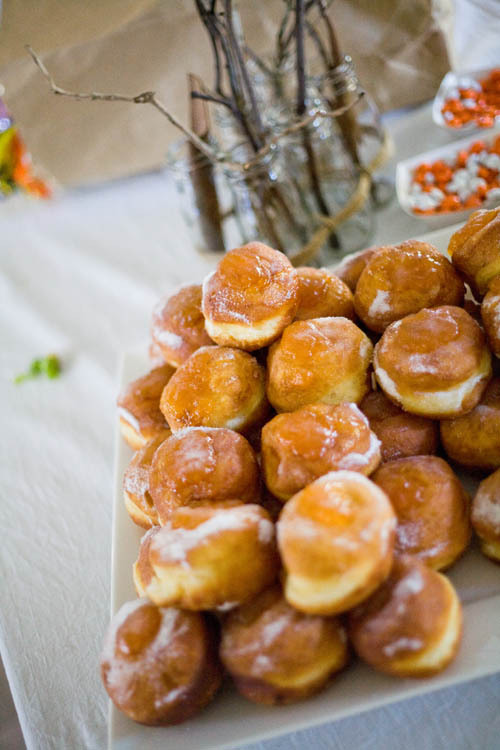 But before readers pipe in that a children’s party isn’t a party without some sort of sugary treat, we’d like to point out the darling little apricot-jam filled doughnuts made with love by Hudson’s own great-grandfather. 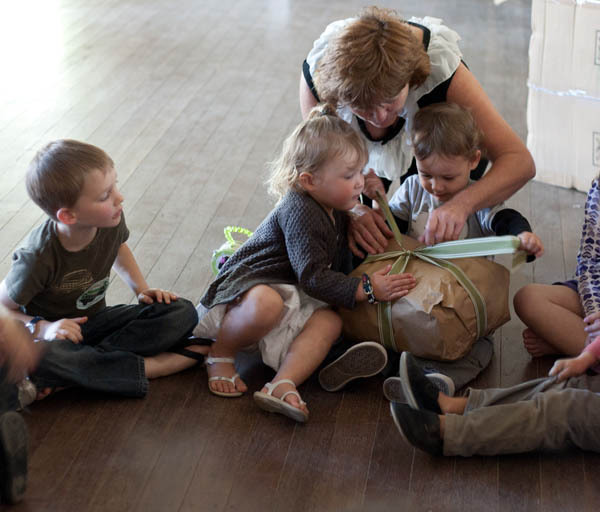 The eco theme carried right through to pass the parcel, with presents in each layer including wooden cars and yoyos for the boys, whistles and frog-shaped castanets for the babies, beaded wooden bracelets and felt purses for the girls, and organic lollipops and O’Bon brand pencils made from recycled newspapers for everyone. 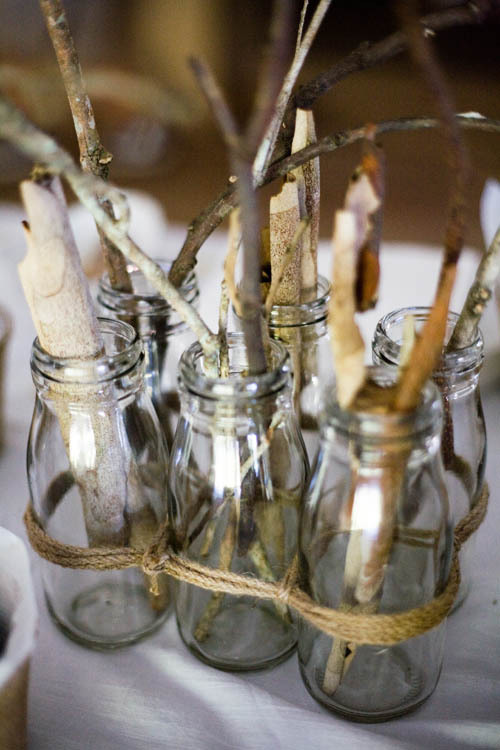 We’ve already mentioned the eco-friendly craft table and here’s a pic. Jessica also hoarded cardboard boxes for months before the big event and used them as jumbo-sized Lego-like building blocks, roping in all the children to build a rather wobbly fort. Other oversized boxes were fashioned into cars and the like. Fun, fun, fun! 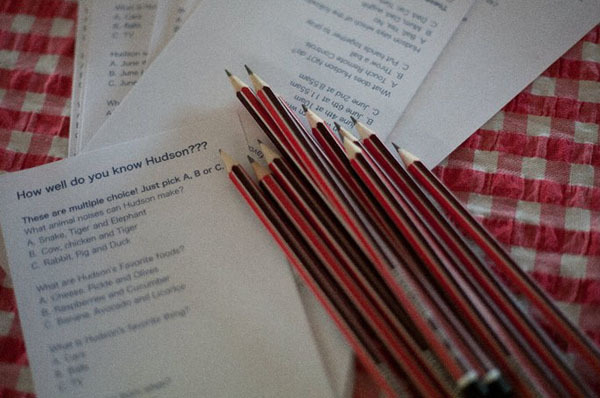 Here’s another fun idea we love – a special quiz for party guests to see how well they know the birthday boy. Finally, we must mention the darling party bags. 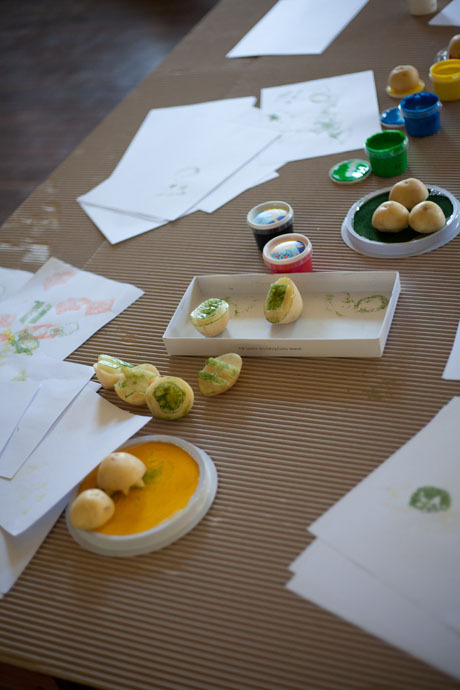 Each contained ingredients for little guests to make their own batch of play dough at home, with a fool-proof recipe, a wooden spoon for mixing and a little cutter to boot. 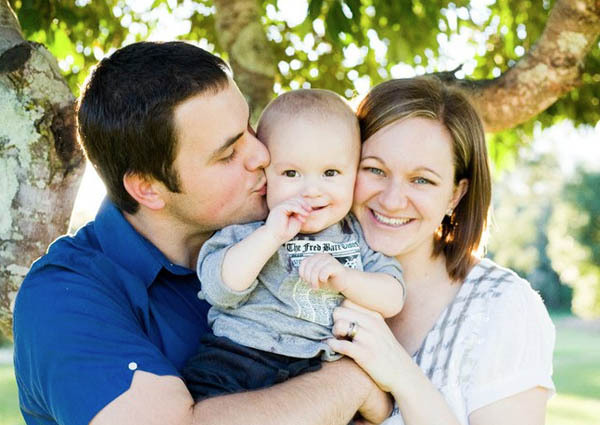 Here’s a picture of the beaming birthday boy with his uber-creative mum and dad Danny. Jessica, your party really does take the cake!